The City of Mississauga has awarded the first grants in its new Designated Heritage Property Grant program launched this spring. "The program applies to properties designated under the Ontario Heritage Act and provides matching grants from $500 to $5,000 for the conservation, repair and/or restoration of heritage attributes," said Mark Warrack, heritage coordinator. "The funding aids property owners in maintaining and conserving Mississauga's invaluable heritage resources." In its inaugural year, the budget for the Designated Heritage Property Grant program was set at $50,000. Submissions are received and reviewed by City staff to determine eligibility. The applications are then reviewed by the Mississauga Heritage Advisory Committee to ensure all proposed work is in keeping with the Ontario Heritage Act and accepted heritage conservation practices. "Priority is given to projects that conserve or restore elements considered attributes of cultural heritage or interest," said Warrack. This year, 13 projects were approved and will receive funding through the Designated Heritage Property Grant program for work that includes repairing and/or repainting woodwork and/or siding, repointing brickwork, replacing windows and reconstructing heritage shutters and roofs. 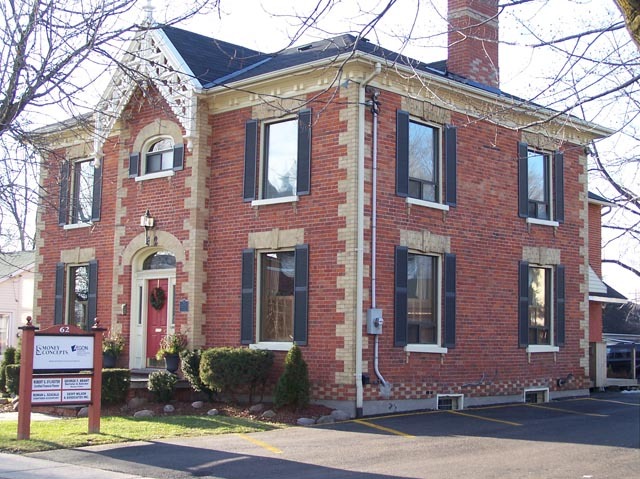 The successful properties receiving funding include: the Graydon House and St. Andrew's Church in Streetsville; Old Erindale Public School, more recently known as Springbank Arts Centre; Tomlinson House, Malton; R.Y. Eaton Coach House, east of Lorne Park Estates; and several properties in the Old Port Credit and Meadowvale Village Heritage Conservation Districts, including, in the latter, the Blacksmith Shop, Apple Tree Inn and both the Silverthorn and Graham-Pearson Houses. The City of Mississauga will be accepting applications for next year's program in the spring. For more information on this or other City of Mississauga heritage conservation initiatives, please visit us online at www.mississauga.ca/heritage. Mississauga is Canada's sixth largest city with a population of more than 700,000. With well-established infrastructure and state-of-the-art facilities, the City delivers quality municipal programs and services to its citizens. Mississauga is recognized as Canada's safest city. Would you like a Complimentary & Quick Over-The-Net Home Evaluation ?